TORONTO — Agents were ‘Honourary WestJetters’ at last night’s WestJet Travel Trade Expo in Toronto, treated to dinner, prizes, product updates and a look at the huge new 2017-2018 brochure in a first of a series of cross-Canada trade shows underscoring the importance of WestJet’s relationship with the travel trade. This is the third year for the Travel Trade Expos and last night’s Toronto event, attracting hundreds of agents and more than 60 hotel and destination exhibitors to the Metro Toronto Convention Centre, was WestJet’s largest Travel Trade Expo yet, said Director of Agency Sales, Jane Clementino. 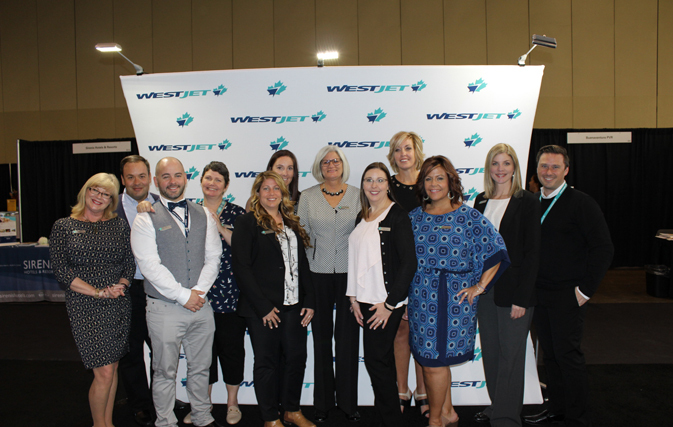 WestJet Business Development Managers and Jane Clementino, Director of Agency Sales. From left to right: Kim Barbisan, Matthew Djorsev, Joshua Knox, Leah Irvine, Emily Spadafora, Jill Cutting, Denise Saunders, Melissa Wallace, Jane Clementino, Shannon Cunningham, Candice Thomas, Christian Roussin. 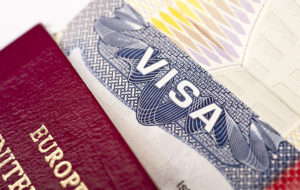 WestJet is hosting six Travel Trade Expos with the full complement of hotel and destination exhibitors (Mississauga, April 25; Montreal, April 27; Calgary, May 1; Edmonton, May 2; and Vancouver, May 4) as well as a series of secondary shows with 30 or so exhibitor partners, and several tertiary events in cities like Kingston, ON, where a group of WestJet’s top performing agent partners are taken out for dinner. “We do a sit-down dinner with drinks and we give them a product update, it works really well,” said Clementino. In total nearly 2,000 agents will attend over 20 WestJet trade shows and events across Canada this spring and fall. As Clementino points out, May is Travel Agent Appreciation month at WestJet “and our Travel Trade Expos are the perfect way to kick off that celebration.” Show schedule details can be found at WestJetTravelTradeExpos.com. 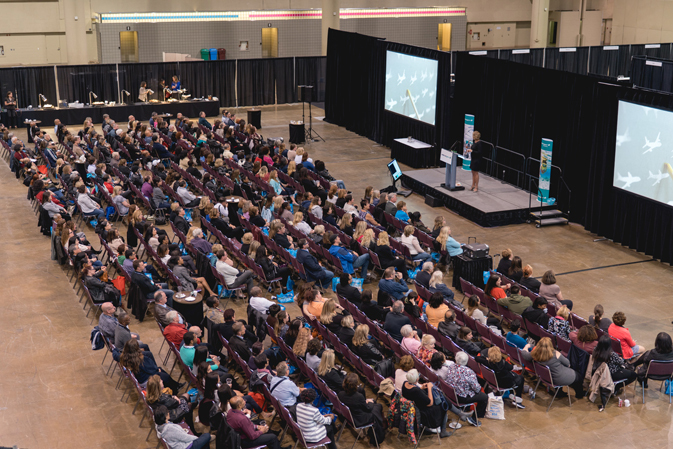 The new 2017-2018 WestJet Vacations brochure made its debut at the Toronto Travel Trade Expo and agents were able to pick up copies at the event. Along with packages to the Caribbean, Central America, Europe, Mexico and the United States, the brochure includes more than 500 detailed hotel descriptions, brand new WestJet Vacations exclusive collection hotels, scheduled flight information and destination overviews. Jane Clementino, Director of Agency Sales, presents to hundreds of travel agents. At this Thursday’s Montreal show WestJet will be highlighting its new twice-daily service between Montreal and Halifax on March 15 and on June 15. With these new flights the airline will operate 195 weekly departures from Montreal and 50 departures from Quebec City by October 2017. The ULCC’s launch, announced last week, is subject to agreement with its pilots and any required regulatory approvals. The initial fleet is expected to include 10 ‘high-density’ B737-800s.